Madison Rose Ciccone is a SoulCycle Instructor based in Boston an a Global Health and Fitness Instagram Inspiration. Spa it Girl loves to follow Madison Rose Ciccone on Instagram @maddztaddz too because she is always sharing her happy smile, positive vibes and inspiring others to SoulCycle – exercise and have fun. 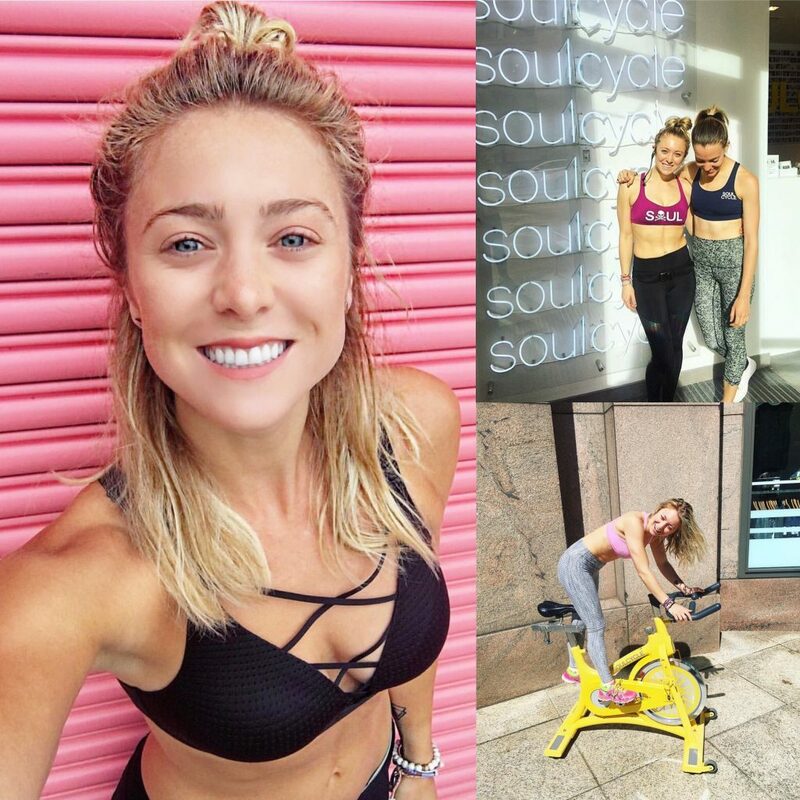 Spa it Girl catches ups with Madison Rose Ciccone to find out what it is really like to be a SoulCycle Instructor in Boston, what makes her happy, who inspires her and her insider tips are for the Best Spa’s in Boston and Wellness HotSpots that we should all really know about (plus more). Can you tell us a little bit about yourself? I’m originally from Rhode Island but went to college in Nashville and then ended up working for a while in the Entertainment Industry out in Los Angeles. SoulCycle brought me back to the East Coast and now I am living and teaching in Boston. Why did you want to become a SoulCycle Instructor? I fell in love with the company as a rider. I belonged to Equinox and someone dragged me to a class one day thats basically how everyone goes to SoulCycle, someone brings them to a class. I then became an Assistant Studio Manger and after being with the company for some time decided to give it a try and become an instructor. What is SoulCycle? SoulCycle is a 45 minute high octane indoor cycling class like no other. It’s a high intensity fat burning cardio workout for your entire body and mind. When your not teaching SoulCycle what else do you love to do? I read a lot, take yoga classes, and when I have the time I like to take hip hop dance classes. I also recently got into rock climbing! How do you manage your time when you have so much on your plate? It takes a great deal of discipline and I definitely had to find my flow and develop my own work ethic for it. There is really know “Tell All” on how to make it work. I learned by figuring out what worked and what didn’t work by process of elimination. Time management is key and staying fresh with inspiration is a necessity. How many classes do you teach a week? I teach A LOT. Anywhere from 16 – 20 classes depending on the way the schedule rolls out week to week. Do you have to spend hours learning the new class routines, does it get easier? Like anything the more you do it the better your get at it! Practice makes perfect right? I remember when I first started playlists would take me a good hour or two and now I can quite literally throw one together in 15-20 minutes. A lot of teaching is really just winging it. Sometimes I have no idea what’s going to happen or how exactly I am going to teach a song… I just have to do it. If it doesn’t work I will know by the classes reaction and if it goes well… they’ll let me know whooping and hollering. Can you share any words of wisdom for those wanting to loose unwanted weight but feeling frustrated that it’s taking such a long time? My Dad always used to say if it takes you years to put on weight you can’t expect for it to come off in a few days. I really like that because with anything and as humans we want instant gratification and results. Do you have any go-to meals you eat after teaching a class to re-fuel? Lean proteins and carbs. Chicken and Rice usually. I always have bars and snacks on hand because I’m constantly hungry. What’s on your playlist? I pull most of my songs from New Music Friday on Spotify… Friday is always my favorite day of the week just because of that! My Summer anthem right now is “Sorry not Sorry” by Demi Lovato. What’s some of your Favourite Activewear Brands to wear? I’m always in SOUL gear. I love being somewhere out of town and seeing someone wearing SoulCycle clothes and giving them a shoutout. I was recently driving through Newport RI and saw a girl out my window and yelled “YEAHHHHH SOULCYCLE.” I had no idea who she was but we both waved at each other smiling. I love that instant connection. Style Reform – You can customize your own leggings! What things can we find in your Gym Bag? 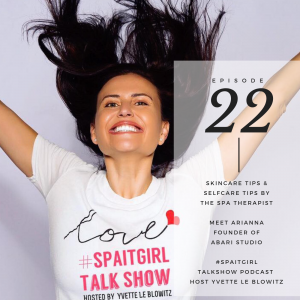 Do you have any Spa’s in Boston we should know about? What are some of Boston’s Coffee Shops and Wellness Hotspots? What’s on the cards for the rest of 2017? My goal is to start teaching Yoga here in Boston. What do you love most about Social Media? Being able to connect with people all over the country. I had a girl ride in my Soul class the other day from Thailand and she was like “Yeah…I follow you on Instagram!” IT’S INSANE! Can you share your words of wisdom for those feeling unmotivated to workout? My mantra I always say on those days is “It doesn’t get EASIER… you get STRONGER!’ And I say it over and over and over again literally with every footstep on the way to wherever I’m going until I start to believe it and everything seems OK! again.